Stamped concrete allows you to do things with patios and walkways that you probably never imagined. But as with many things that add that special touch to your home, you’re probably wondering about its cost. While every project is different, GW Brockelbank Concrete Contractors has a few general guidelines to help you through the process. Surprisingly, no. Stamped concrete is considered to be one of the more affordable surface material options to install at your home. Concrete is long-lasting and durable, meaning your dollar goes a long way. Also, it takes hardly any time to lay. When you add concrete stamping, you can get a stunning look at over half the cost of other options. All in all, this type of decorative concrete helps you save money and still have a knockout driveway, patio, or walkway. How else does it compare to other materials? Did you know that concrete stamping gives you tons of options? The stamps used can recreate the look of many materials or add patterns. Plus, concrete is far more superior to other materials in terms of easy maintenance, strength, and durability. 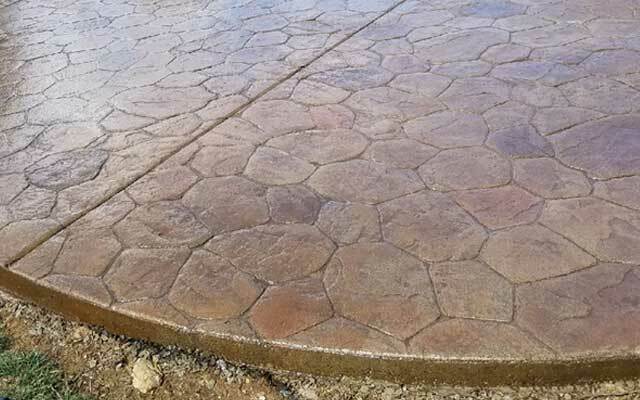 Interested in learning more about stamped concrete? Contact GW Brockelbank Concrete Contractors today to learn more about stamped concrete and other types of decorative concrete.